Our passion is helping you achieve peace, simplicity, and order. 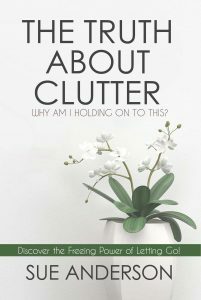 We help busy, overwhelmed people take back control of their cluttered and disorganized home or office so they can spend less time searching for stuff and more time doing the things they love! Working together hands-on, we create organized, peaceful and functional spaces that are tailor made for you and your busy lifestyle! Whether you need help organizing your home or organizing your office, we’ve got you covered. All services are confidential and non-judgmental. We help busy, overwhelmed people take back control of their lives, so they can spend their time doing the things they love to do - rather than the things they have to do! Our personal assistant services help you simplify your life by tackling and completing those important (but sometimes mundane) day-to-day tasks that weigh you down and stress you out! We can help you with just about everything that it takes to keep your household, office and life in order and running smoothly and effortlessly. Our DIY page offers information about our latest books, e-books, downloadable tips and recommended organizing products, tools and resources that will get you headed in the right direction.